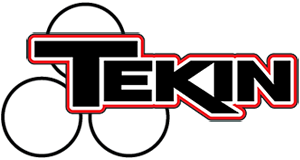 Tekin Ceramic Motor Bearings – Tekin – Smaller, Smarter, Faster! Tekin Ceramic Motor Bearings are a great way to get even better performance from your GEN3 / SPEC-R brushless motor! Extremely low friction and precision manufacturing provides a noticeable increase in motor RPM output while lowering the drag and increasing efficiency! Grab a set for yourself and feel the difference!